When you arrive in downtown Princeton (the Borough of Princeton), your visit will be more pleasurable if you have familiarized yourself with the public parking areas and the easy to use "ParkPrinceton" program. 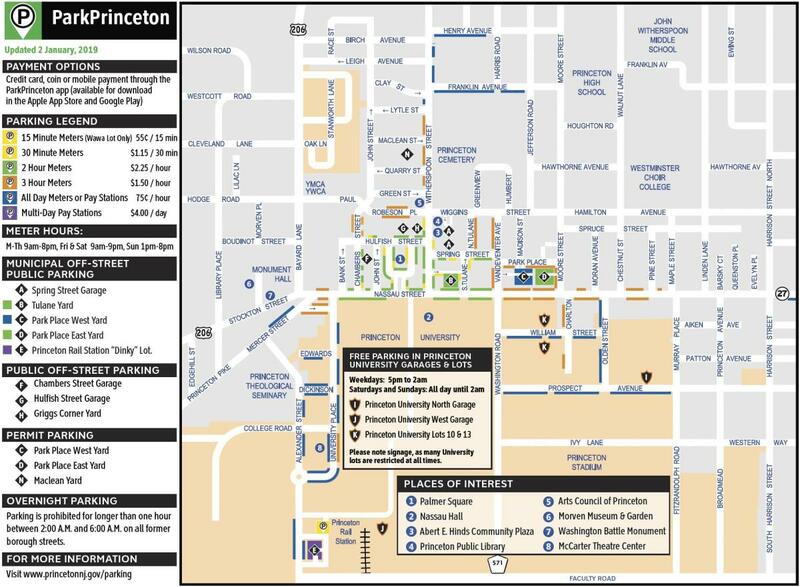 Click below for all the information on how and where to park in Princeton! Visit our Princeton area maps page. 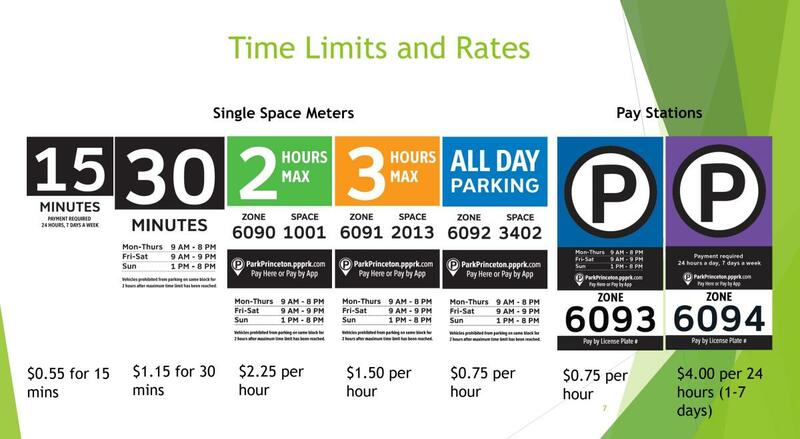 Parking meters are enforced in the Borough of Princeton during the times listed down below. Rates and time limits vary per location, and are generally lower outside of the Central Business District. Please refer to the ParkPrinceton Map, meter time periods and Printable Map here. Parking payment receipts for credit card transactions are available using https://www.myparkingreceipts.com/ My Parking Receipt is a convenient website that allows customer to view, download and print their parking receipts for parking sessions paid by credit card at any IPS meter.